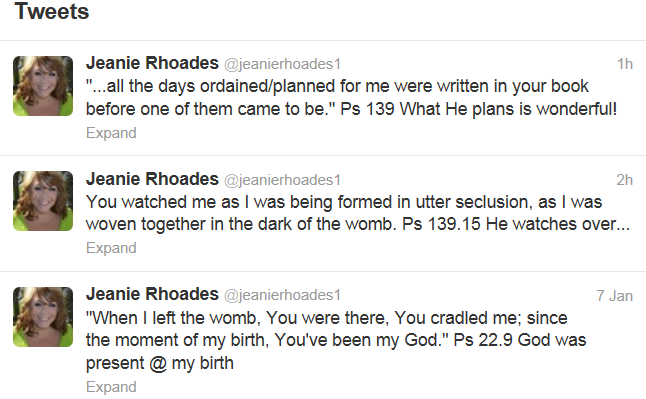 I decided to do Twitter, to send myself, more than anyone else, encouraging messages about God’s faithfulness. 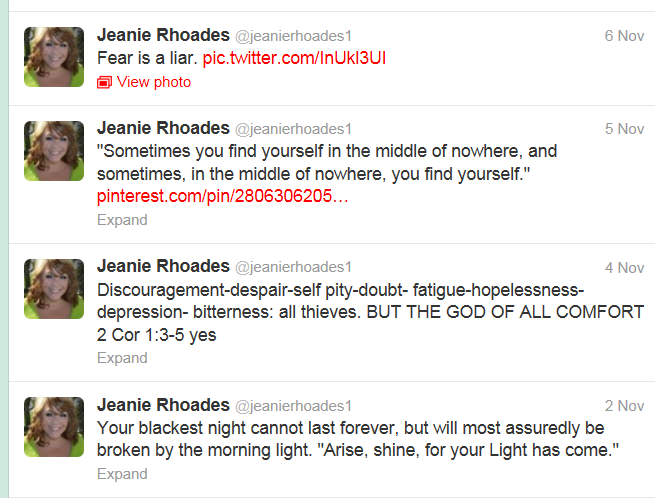 My first 4 tweets ever…started in November. I never remember the terminology so I have been known to say something stupid like, “Oh, guess what I just ‘twittered’?” And that is wrong. I am not famous (or promoting anything) so there is no reason for anyone to follow my tweets, though good friends and family do so, of course, because they know I will like that.